This what Bec made for me in our online group swap. 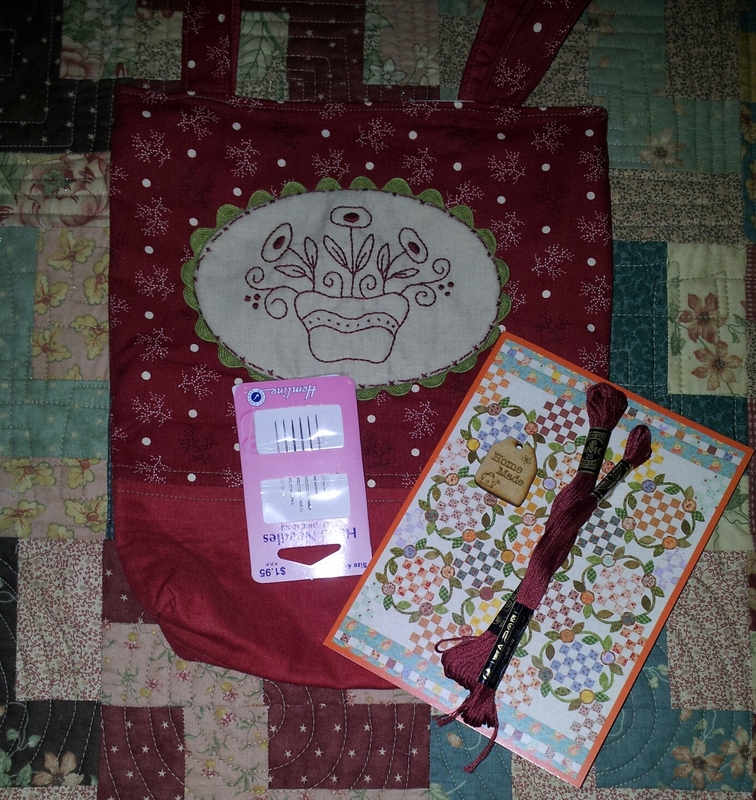 Our theme for this swap was Gail Pan I got a bag and some needle, DMC and a wooden button. Beautiful gifts from Bec...you were spoilt Razzy..